"What it means for people to be citizens"
Thank you for sharing the special evening with Gavan McCormack on October 16, to those twenty-five or so adults and several children, at the fall special Peace Philosophy Salon, "Battle of Okinawa 2010: Japan-US Relations at a Crossroad." Gavan, based in Canberra, Australia, a dedicated scholar on Japan and East Asia the last five decades, author of numerous books including Client State: Japan in the American Embrace (2007), paid a special visit to Vancouver and Victoria, after giving a talk at Portland State University in Oregon. He gave two talks at the University of Victoria on October 18, and our Salon was the only event in Vancouver, so those of us who were there that night were very fortunate. Gavan talked about the Cold War assumption and security structure that still underpins the Japan-US relation, supported the "client-state" mentality that still persists in the Japanese government; the failed attempt to change that structure by Hatoyama and DPJ government after the historic regime change of 2009; concern over the "deepening alliance" between the two countries in the 50th anniversary of the revision of ANPO (Japan-US Security Treaty), and Okinawans' 14-year resistance against the two governments' attempt to replace the obsolete and dangerous MCAS Futenma with a new, upgraded Marine airbase and military port in Henoko/Oura-Bay, an eco-sensitive area in Northeastern shore of the island. 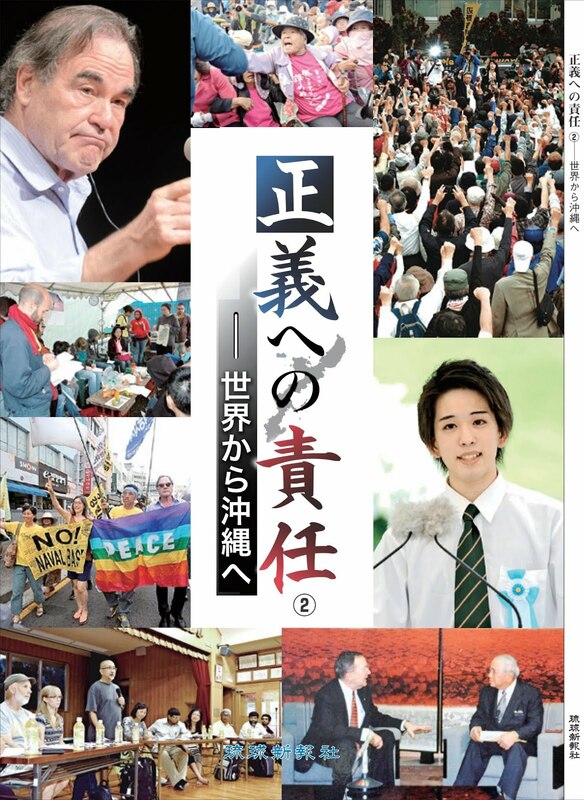 "There is no precedent in modern Japanese history for an entire prefecture to unite, as does Okinawa today, in saying 'No' to the central state authorities," Gavan emphasizes as he talked about the ever strong opposition to the new base within Okinawa. "Okinawa’s history over especially the past 14 years constitutes a lesson to the rest of Japan in what it means for people to be citizens." There is much to ponder on this statement. Gavan also touched upon the debate over the ship collision incident near the group of islets and rocks, called "Diaoyu" 釣魚 in Chinese and "Senkaku" 尖閣 in Japanese. We will summarize on that part of the talk later on. Here are comments from the participants. For Gavan's new paper on which his talk was based, see HERE. For more of Gavan's articles on Japan Focus: Asia-Pacific Journal, see HERE. For the "salon host" Satoko's articles on Okinawa on Japan Focus: Asia-Pacific Journal, see HERE. Five decades after the adoption of the (revised) US-Japan Security Treaty, and two decades after the end of the Cold War, Cold War assumptions still underpin the relationship between the world’s leading industrial democracies. A belated Japanese attempt to change and reform the relationship in 2009-2010 ended in failure and the collapse of the Hatoyama government. Whether the Kan government can do better remains to be seen. The relationship that I wrote about in 2007 as “Client state”-ish proves difficult to transcend. The “Okinawa problem” has emerged as a crucial bone of contention, not only between the two governments but between the people of Okinawa and both governments. 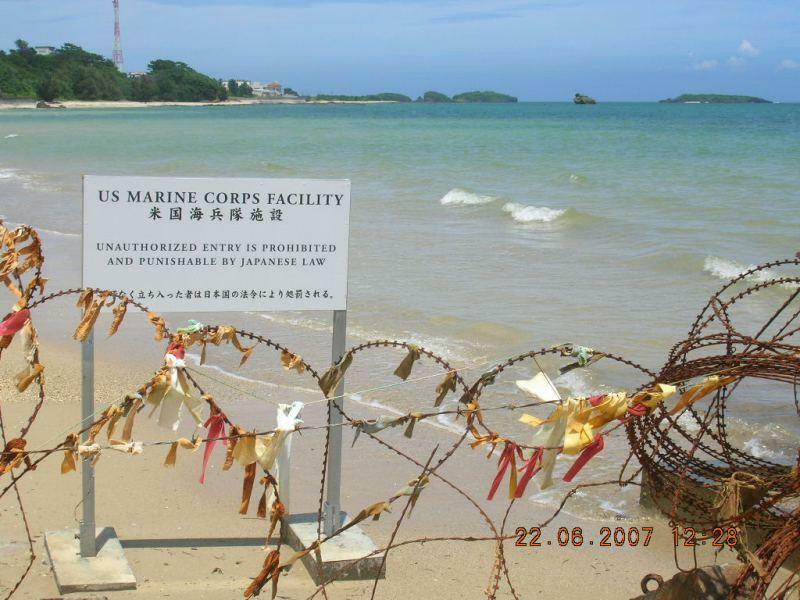 This paper addresses the implications of the now 14-year long attempt to resolve the Okinawan demand for closure and return of Futenma Marine base in Ginowan City. Before addressing the Okinawa problem, let me make some general remarks on the frame within which the US-Japan relationship exists. I see the present moment as one of sharp disjuncture in East Asia between on the one hand the continuing Cold War security architecture of global bloc confrontation, nuclear weapon based and super-power centred, linking the counties of East and Southeast Asia in hub and spokes of containment or hostility towards the Soviet Union and then China, and on the other hand the rapidly growing, China-centred, economic and ecological inter-dependence. China is the world’s number two economy and for both the US and Japan the major trading partner. China is also Japan’s best prospect for future economic growth, prosperity and stability. And at an even deeper level, in terms of ecology – the fate of Japan and China is inextricably inter-twined. Climate change, global warming, species loss, resource depletion, desertification, collapse of the oceans affect both. For better or for worse, the two countries are in the same boat, and they must row together. 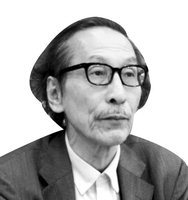 Japan – not alone but anyway critically, is caught in the contradiction between the economic base and the military and political superstructure. According to Karl Marx, there is only one way that, in the long term, such contradictions will be resolved. In these coming decades, short of some currently unforeseeable catastrophe, the US global weight will diminish and China (of course not just China but Asia as a whole) will resume the roughly half of global GDP it represented two centuries ago. The American century ends, the Chinese century begins (or rather another, since there have been many in the past.) The security structures are anachronistic and out of kilter with the burgeoning economic and ecological aspects of this conflicted world order. Especially in the two decades since the end of the Cold War, the US has pressed Japan to make the relationship into a “mature” alliance by removing barriers to joining the US in war as in peace. It is not just the continuation of US occupation and the incorporation of Japan in its global military strategy that is anomalous, but the fact that Japan insists on paying generously to subsidize it. The Japan whose constitution outlaws “the threat or use of force in international affairs” is allied to the one country above all others for whom war and the threat of war are key instruments of policy. It supports US wars in every possible way short of actually sending troops, offers it more extensive military facilities, supports it (and its wars) with more generous subsidies than any other country (at around $5 billion per year). The problems of Japan and East Asia are rooted in this self-abnegation at the heart of the Japanese state. 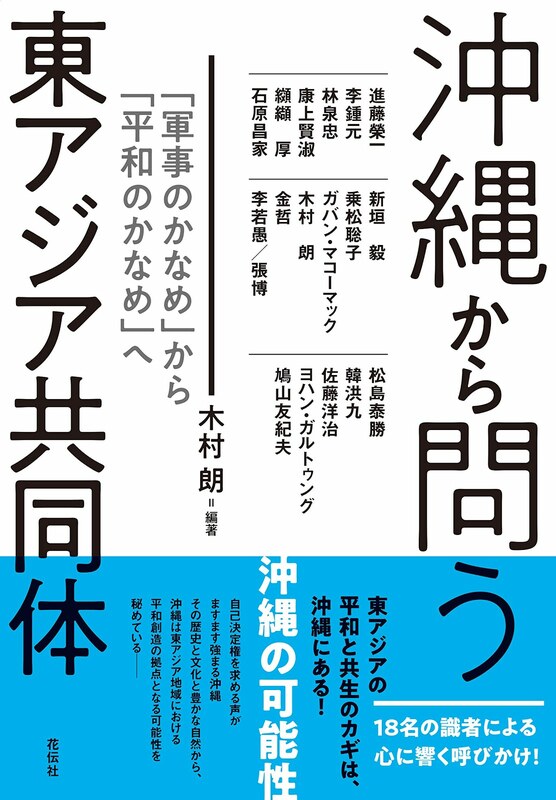 As little as three years ago, when my book was published the term Zokkoku (the Japanese title) had a certain shock effect. I expected to be criticized for hyperbole for using it, but to my surprise it has steadily become uncontroversial, adopted even by prominent Japanese conservatives. How can it be, I ask myself, that such an ignominious status could so long be tolerated by a people for whom in the past nationalism has been so dear? The Japan once troubled by ultra-nationalism, now lapses into negative, or compensatory nationalism. 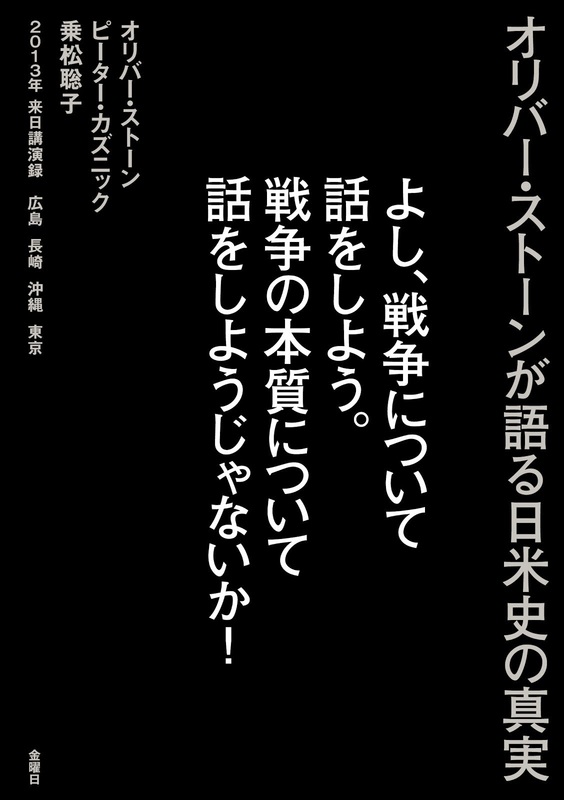 Clientilism is of course not unique to Japan, nor is it necessarily irrational. Dependence and subordination during the Cold War brought Japan considerable benefits, especially economic. But that era ended, and instead of gradually reducing the US military footprint in Japan and Okinawa as the “enemy” vanished, the US ramped it up. It pressed Japan’s Self Defence Forces to cease being “boy scouts” (as Donald Rumsfeld once contemptuously called them) and to become a “normal” army, and to step up its contribution to the “war on terror.” “Client State” status came to require heavier burdens and greater costs than during the Cold War, but it offered reduced benefits and enmeshed Japan more inextricably in the contradiction between its economic and ecological shared destiny with China and its security dependence on the US. The dilemma sharpens as US global power and influence decline. For the most part, the Zokkoku relationship remains comfortable enough for people in mainland Japan, because it impinges little on everyday life. But clientilism and the Japanese state priority to military ties to the US weigh heavily on the people of Okinawa, and resistance to that agenda is strongest there. In Okinawa, three-quarters of all US military facilities in Japan are concentrated: 29 separate facilities, taking up 20 percent of the land area of the main island. In mainland Japan, no new base has been built since the 1950s, but in Okinawa for the past 14 years the Government of Japan has been committed to building a new base for the Marine Corps. It is described as a “replacement” for the obsolescent and inconvenient Futenma that sits in the middle of Ginowan township, but it is far more than Futenma. What is planned is a vast, sophisticated military complex at Henoko, far more multi-functional than Futenma (and including a deep-sea port for docking nuclear submarines). This relatively remote northern Okinawa site has become the “hottest” land and sea district in all Japan. Okinawa, as Ryukyu, was part of the East Asian, China centered, world long before it became part, first of the pre-modern and then of the modern Japanese state. Flourishing as an independent commercial and cultural centre in the 15th and 16th centuries, it was invaded and reduced to semi-independence in 1609 and then fully incorporated in modern Japan in 1879, following diplomatic blunders by a weakened China that allowed its claims to sovereignty to lapse. After 1945, whether under direct US military rule to 1972, or nominal Japanese rule after it, Okinawa’s orientation to war did not change. It played a key role in the conduct of wars from Korea (1950-53), Vietnam (1961-75), Gulf (1990), to Afghanistan (2001-) and Iraq (2003 -). In the context of 21st century shift from a US-centered world order to a possibly China-centred one, the fact that the Okinawan islands stretch through the East China Sea, not far from the coast of China, for around 1,000 kilometers, gives them a potentially huge military significance, especially in the hands of a military force hostile to or set on containing China. 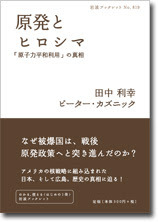 During the prolonged one party state system in Japan between 1955 and 2009, a thoroughly ramified “Client State” system evolved in which priority to US interests was taken for granted, intil 30 August 2009, when Hatoyama Yukio and the DPJ came to power in a dramatic shift, signaling the bankruptcy of the old regime and the search for a new order. Hatoyama had a vision for Japan. Like Obama a little earlier, he tapped a national mood of desire for change, a Japan beyond client state-ism (Japanese: Zokkoku). He promised to renegotiate the relationship with the US on the basis of equality; to reject “market fundamentalism” and to re-orient Japan away from US-centred unipolarism towards a multipolar world in which Japan would be a central member of an East Asian community, built around a core value of “Yuai,” which he described as something that was “...a strong, combative concept that is a banner of revolution,” using the word “revolution” in a way no Japanese Prime Minister had ever used it before. He opened the Diet session in January 2010 with the words. “I want to protect people’s lives. Such pronouncements disturbed Washington. Hatoyama was dismissed as a weirdo. What leader of government ever spoke of an “equal” relationship with the United States, something never contemplated and almost unimaginable; or of “protecting life?” But it was in particular Hatoyama’s attempt to renegotiate the agreements adopted by previous, conservative governments to build the new base at Henoko where he crossed a line. Dismissing Hatoyama’s vision and ignoring his policies and projects ignored, US President Obama refused even to meet him to discuss his agenda or his vision. The US Departments of State and Defense delivered him ultimatum after ultimatum, telling him that they would not reopen negotiations, and that it would be a “blow to trust” between the two countries if the existing agreement (on Henoko) could not be implemented. When Hatoyama announced (December 2009) that he would postpone the crucial decision till May 2010, Pentagon Press Secretary (Geoff Morell) declared that the US “did not accept” the Japanese decision; Kurt Campbell, Assistant Secretary of State for East Asia and the Pacific, said the Japanese public would have to understand the need to keep US forces in Okinawa. 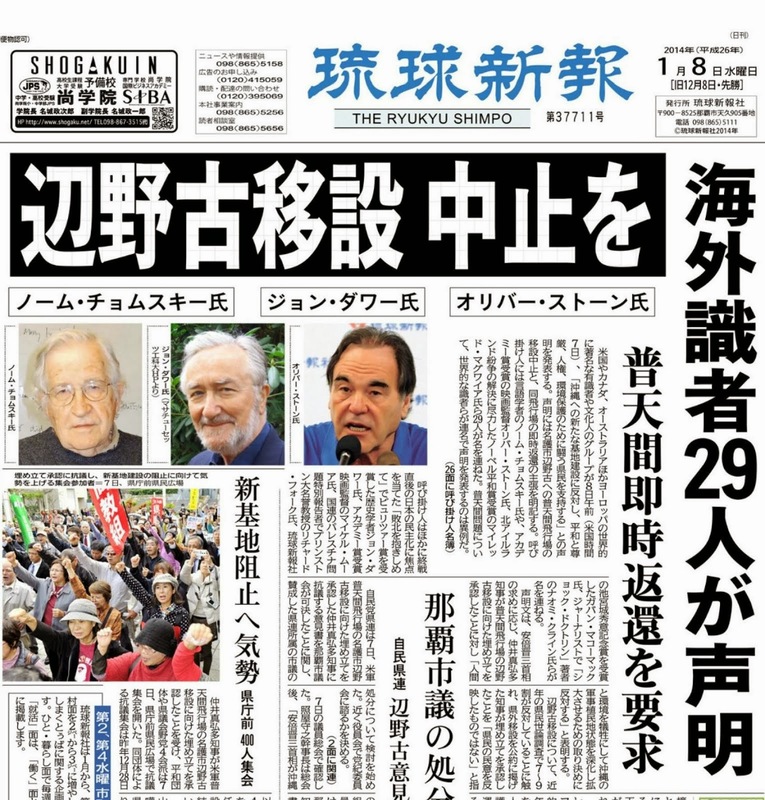 The Washington Post described Hatoyama as “the biggest loser [among world leaders]…, hapless, … increasingly loopy,” i.e., in effect, it was saying, Hatoyama was mad. In short, the newly installed Hatoyama government faced orders from Washington to fulfill the pledge signed and railroaded through the Diet in the dying days of Aso Taro’s LDP government. The abuse and intimidation to which Hatoyama was subject is without precedent in the US relationship with any country, including Iran and North Korea, let alone its supposed closest of allies. Torn between the pressures of Washington on the one hand and Okinawa on the other, hemmed in by faithless bureaucrats in Tokyo intent on subverting his agenda, Hatoyama’s political position crumbled. The national media blamed him for the deterioration in the country’s key relationship, insisting that he cease offending and irritating the US. In the 50th year of the Ampo relationship, it became clear that in a “mature” alliance a Japanese government could not survive loss of Washington’s confidence. Obama, having risen to power in his own country promising “change,” forbade it in Japan. A client state is not allowed to be uppity. 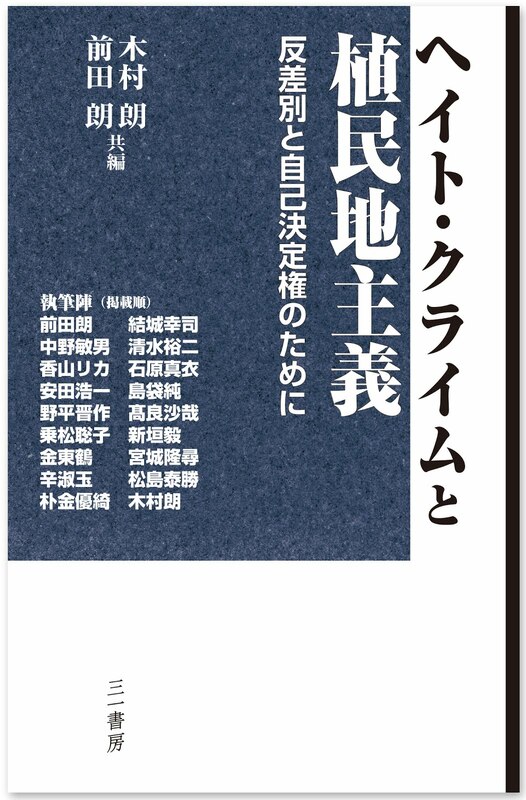 The distinguished Tokyo University political scientist, Shinohara Hajime, recently said that he regarded the 28 may agreement between Hatoyama and the US government as Japan’s (second defeat” (daini no haisen), i.e. tantamount to August 1945. When Hatoyama in due course surrendered, he abandoned or betrayed the hopes of change raised by the DPJ before it took office. He also gave up other core elements of his vision. His “East Asian Community” mysteriously transmuted into something that would include the US (and would therefore be unacceptable to China), and the “China threat” had moved closer to the centre of defense and security policy. The Hatoyama government’s fall is best seen as a client state crisis: a failed attempt to move from dependency to equality. It demonstrated the abjectness of Japan’s submission and revealed in bold relief just what, in its mature, 21st century form, a client state was. When Kan Naoto took the reins of government in early June, the national media defined his key task as being to heal the “wounds” that Hatoyama had caused to the alliance, restore Washington’s trust and confidence in Japan, and resolve the Okinawa problem by “persuading” Okinawa to accept the new base. Kan’s first act as Prime Minister was to telephone US President Obama to assure him he would do what was required. When in his introductory policy speech to the Diet he pledged the “steady deepening of the alliance relationship” that was what he meant. Just four months into the Kan government, however, nothing has been resolved. Under the Agreement that Hatoyama signed on 28 May, the details of the new base construction were to be settled by the end of August, but in August the deadline was extended to November. The two sides could not agree on what shape the new base would have (“V” or “I” shaped), where exactly it would be built, how it would be constructed, what would be the flight path for its aircraft, and whether Japan’s Self Defense Forces could share its use. Only in September did the US government make public its intention to deploy at the new base the MV22 Osprey VTOL aircraft, capable, with refueling, of a range of 3,700 kilometres or around five times that of the CH46 helicopters that currently operate from Futenma This had major implications for the levels of noise and risk that adjacent communities could expect to experience and it constituted yet another reason for reopening the environmental assessment process. What governments in Tokyo and Washington could not accept is that there is no way to persuade or compel a determinedly hostile Okinawa to submit. Time and again, from 1996 to today, Tokyo has declared its determination to substitute a Henoko base for the Futenma one, and time and again Okinawa has resisted and forced it to back down. The Okinawan people have resolved by every conceivable means – elections, resolutions (of local Assemblies including the Okinawan Prefectural Assembly and Nago City Assembly), mass “All-Okinawa” meetings, opinion surveys, statements by officials) that it not be built. 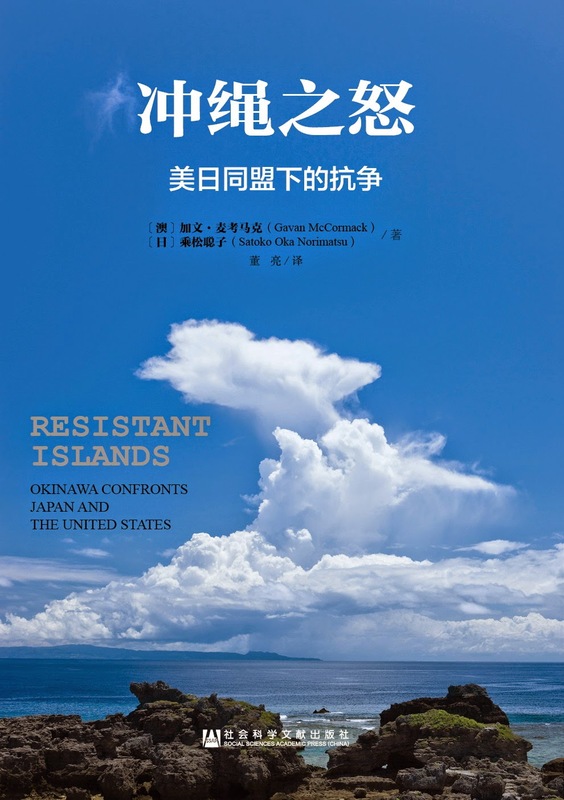 This fierce, uncompromising, non-violent, popularly-supported Okinawan resistance has been one of the most remarkable features of recent Japanese history. If this Okinawan resistance had been in a country out of favour with the US and Japan it would have won global acclaim as a heroic expression of popular will, a beacon of courageous, democratic determination, but because the struggle is against two supposed pillars of the global democratic system, such recognition is denied it. This year, 2010, has been declared by the United Nations to be the “International Year of Biodiversity.” This very month, October, the parties to COP 10, the Conference of the Parties to the United Nations Convention on Biodiversity, meet in Nagoya. It is incongruous that the government that hosts the Nagoya meeting should be committed to imposing a massive military base upon one of its (and the world’s) most precious concentrations of biodiversity. The coastal areas of Henoko (where the base would be constructed) are classified under the Okinawa Prefectural Government’s Guidelines for Environmental Protection as rank 1, warranting the highest level of protection. There the internationally protected dugong graze on sea grasses, turtles come to rest and lay their eggs, and multiple rare birds, fish, crustaceans, insects, and animals thrive. A colony of blue coral was discovered only in 2007 (and in 2008 placed on the IUCN’s “Red,” or critically endangered, list); a 2009 World Wildlife Fund study found an astonishing 36 new species of crabs and shrimps; in July 2010 Tokyo marine science researchers found 182 different species of sea grasses and marine plants, four of which were probably new species; and just weeks ago, the Nature Conservation Society of Japan found 362 species of conchs in those same waters, 186 of them in one 50-centimeter-square area. This sea is a concentrated marine patch of Brazilian rain-forest. The construction process (for the “V” version) would require 21 million cubic metres of fill, of which 17 million cubic metres would be sea sand. That means a staggering 3.4 million dump truck loads of sand, more than 12 times the current volume of sand extracted in a year from throughout Okinawa. That alone, before actual base construction could begin, would mean significant damage to Okinawa’s fragile land and sea environment. Along with the dugong, turtles and other creatures, for the US Marine Corps and their Japanese promoters the coral of Oura bay is simply a nuisance. When the first plans for militarizing the Bay were developed, in 1962, the Marine Corps began to deal with the coral by bombing it. Such a course is not open today, but the scale of militarization envisaged could be expected to have the same effect over the longer term. It is true that an environmental impact study was conducted on Henoko between 2007 and 2009. But the Assessment Law (Asesuho) does not stipulate an impartial, scientific process and includes no provision for actually banning a project on environmental grounds. It merely requires the party proposing works to consider their impact and take appropriate steps to protect the environment. So the Japanese Defence Facilities Bureau (part of what was then the Defence Agency and is now the Ministry of Defence) reviewed its own project. It paid no attention to the likely impact of typhoons, because none happened while the survey was in process; it concluded that “dugong are not in the area” since it saw none, though it was likely that the dugong were not to be seen precisely because the disturbances caused by the investigation process had driven them away. The process was also flawed in that no information was provided to it on the kinds or number of aircraft that would be using the facility, or the materials that would be stored or used on it. 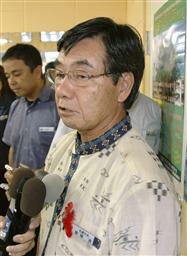 Okinawa Prefecture (its Environmental Impact Committee) found multiple faults in the Assessment’s Interim Report; Governor Nakaima recommended a multi-year study of the dugong, and Okinawa’s leading environmental law authority, former Okinawa University president Sakurai Kunitoshi, declared the process “unscientific” and fatally flawed. In the International Year of Biodiversity, it was bizarre, he noted, that the Government of Japan, even while hosting COP10, should go to such lengths, and spend such amounts of taxpayer money, to push through a thoroughly unscientific justification for the destruction of such a precious concentration of biodiversity. Civic and international organizations protest the implausibility of the region’s largest military base being imposed on an environment whose extraordinary biodiversity is only slowly being understood, and court actions challenging the project on environmental grounds are underway in both the US and Japan. : It is as if the Grand Canyon were to be designated a military base, or in Australia, Kakadu. The Henoko dispute compounds elements of local (Nago City), regional (Okinawan), national (Japan) and international (Japan-US) contradictions. It exposes the fabric of the Zokkoku state and the “alliance” that under-pins it and, as it continues, it threatens to widen into a movement to question the US base presence in Japan as a whole. As Kent Calder notes, the phenomenon of foreign military bases being hosted for any period of time in the territory of a sovereign state is extremely unusual; “castles built on sand” cannot long be stable. The Okinawan sand is now crumbling. There is no precedent for the confrontation that occurred between the US and Japan in 2009-10. There is also no precedent in modern Japanese history for an entire prefecture to unite, as does Okinawa today, in saying “No” to the central state authorities. Okinawa is commonly thought of as a peripheral Japanese prefecture, but is central to Japanese, regional, and global affairs. 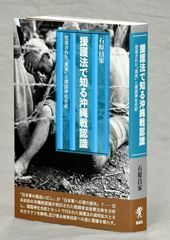 The legal justification for the bases, in mainland Japan as in Okinawa, is the 1960 “Japan-US Security Treaty. That treaty, however, entitles the US (under Article 6) to station troops in Japan for “the purpose of contributing to the security of Japan and the maintenance of international peace and security in the Far East.” The Marines, however, are not a defensive, Far Eastern, force but an expeditionary “attack” force, dispatched repeatedly since 1990 for participation in the Gulf, Afghanistan, and Iraq Wars, and held in readiness to be launched as a ground force into enemy territory. As a senior official in the Japanese Department of Defense put it, the 3rd Marine Division is a “force for deployment at any time to particular regions beyond Japan …. not for the defense of particular regions.” Their presence, supposedly justified by the security treaty, might instead be in breach of it. The base project on which the two governments have been intent since 1996 is concerned not with a Futenma substitute, or even with the defense of Japan, but on supplying the US Marine Corps with a new, upgraded, multi-service facility to be used as a forward base capable of attacking foreign territories. 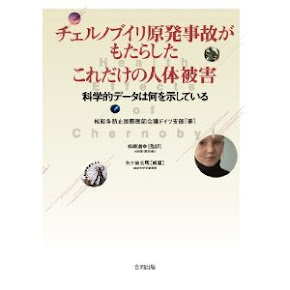 Furthermore, the hullabaloo in Japan surrounding the Henoko project rests on a serious misunderstanding (if not a deliberate deception on the part of the two governments). The Pentagon from 2006 has been committed to transfer core Futenma Marine units to Guam, upgrading it into the military fortress and strategic staging post covering the whole of East Asia and the Western Pacific. That plan clearly undercuts the strategic importance of both existing and future planned marine deployments in Okinawa. In the year of the “golden jubilee” anniversary of the US-Japan security relationship (1960), a more unequal, misrepresented and misunderstood bilateral relationship between two modern states would be difficult to imagine. Under republican and democrat administrations in the US, and LDP and DPJ governments in Japan, agreement follows agreement, postponement follows postponement, but nothing is resolved. As failure follows upon failure, that in turn feeds irritation on both sides. The Okinawan resistance constitutes a brick wall that the two governments can neither evade nor breach. In a dictatorship, the base project could still proceed, even if people had to be cleared away by tanks. That is how bases were built and expanded in the 1950s, the process that Okinawans remember bitterly as the terror of bayonets and bulldozers. But in 21st century Japan, at least so long as democratic institutions survive, it is surely beyond the capacity of any government to repeat that process. To both sides, Okinawans are an inconvenience and a nuisance, to be persuaded or bought off with the appropriate package of carrots and sticks. Yet no defence of democracy or of a “free” world can rest on denial of freedom and democracy in a core territory. 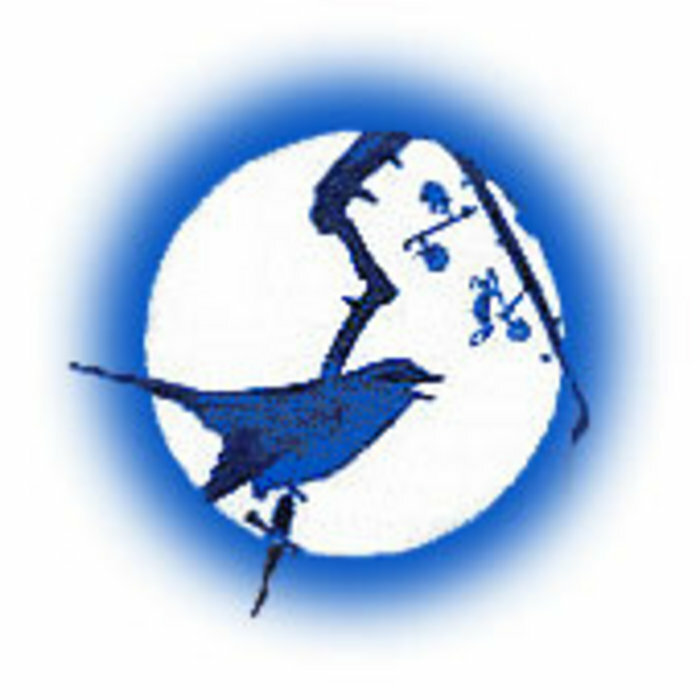 Serious attempt to resolve the “Okinawa problem” has to begin from setting aside the series of “Agreements” to militarize Oura Bay reached during the high tide of LDP client state-ish rule and putting an end to the many vain attempts to impose upon Okinawa something its people had said in every conceivable forum that they will not accept. 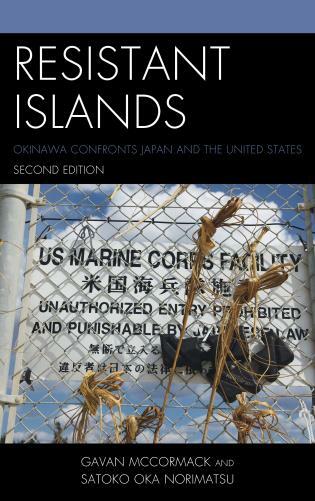 To begin to resolve the current “Okinawa problem” means to revisit the formula on which the post-war Japanese state has rested and to begin renegotiating its dependence on the United States, to return to the Hatoyama vision of 2009 that was treated with such contempt in Washington. Okinawa’s history over especially the past 14 years constitutes a lesson to the rest of Japan in what it means for people to be citizens and therefore to exercise with confidence and determination the sovereignty vested in them under the constitution; to hold peace dear and be resolved never to forget or repeat the crimes of militarism; to be committed to non-threatening cooperation with neighbors; to revere nature and insist on policies of environmental sustainability. The most interesting story of early 21st century Japan is being told here. Japan’s geographical periphery is its political core, pointing towards an alternative, non-client state, civil society-led, direction for the rest of the country. 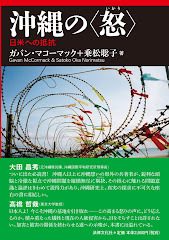 Gavan McCormack is a coordinator of The Asia-Pacific Journal – Japan Focus, and author of many previous texts on Okinawa-related matters. 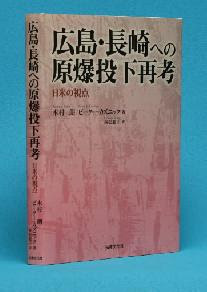 His Client State: Japan in the American Embrace was published in English (New York: Verso) in 2007 and in expanded and revised Japanese, Korean, and Chinese versions in 2008. 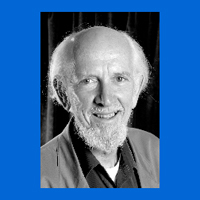 He is an emeritus professor of Australian National University. Click HERE to see more articles by Gavan McCormack on Japan Focus: Asia-Pacific Journal. 和田春樹「日中は尖閣島問題を対話で解決すべき」 Wada Haruki: "China-Japan, Facing Necessity to Dissolve the Conflicts over Senkaku Islands through Dialogue"
Here is the Japanese version of a column written on the disupte over Diaoyu/Senkaku Islands by Wada Haruki, professor emeritus of Tokyo University, "China-Japan, Facing Necessity to Dissolve the Conflicts over Senkaku Islands through Dialogue." It appeared on the October 4th issue of Kyunghyang Shinmoon, a newspaper in Korea. See the Korean version HERE. 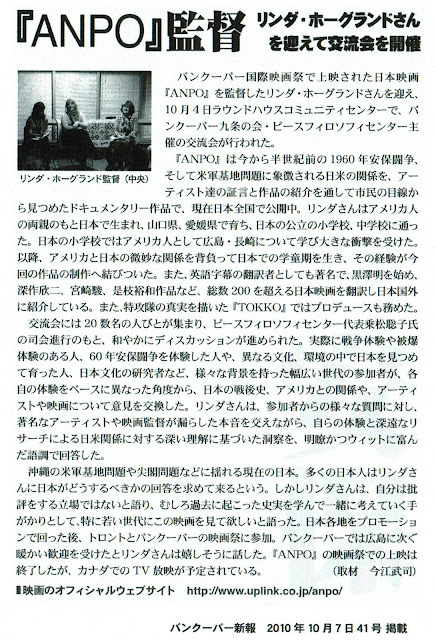 An English version was published on Japan Focus: Asia-Pacific Journal. Click HERE. 名護市議決議の日本語版はここにあります。The original resolution in Japanese is at the bottom of the previous blog. 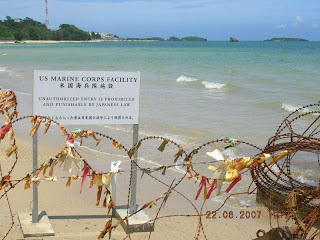 The Coalition Government led by former Prime Minister Yukio Hatoyama reversed the election pledge to “relocate Futenma outside of Okinawa Prefecture,” and on May 28, 2010, proclaimed a Japan-U.S. Joint Statement “to locate the replacement facility at the Camp Schwab Henoko-saki area and adjacent waters.” It was a decision made in disregard of the will of residents of Nago and Okinawa. Then, at the Japan-U.S. summit meeting held in Toronto, Canada on June 28, Prime Minister Naoto Kan confirmed his commitment to follow through on the agreement to build a replacement facility in Okinawa. This agreement was made despite the fact that the majority of people in Nago and throughout Okinawa want the Futenma base removed outside their prefecture. It is an unacceptable act of violence, which tramples the principle of democracy, and conveys derision toward the people of Okinawa. Adherence to election pledges and respect of the will of the people are the foundation of democracy. Hatoyama’s resignation is a vivid example of the fate of a government that tramples a public pledge and betrays the people’s will. The people of Okinawa have shouldered the burden of military bases for sixty-five years. Seventy-four percent of the military bases designated for exclusive U.S. use are concentrated in Okinawa. Eleven percent of Nago City is occupied with U.S. military bases. Further imposition of a base burden is nothing but a discriminatory policy against the people of Okinawa. If construction of a Futenma replacement facility proceeds in accordance with the “Japan-US agreement,” it will be evident that expansion and reinforcement of military bases will accelerate, and so will the harm associated with hosting military bases, including noise pollution and risks to security and safety of local residents. The city assembly of Nago will not tolerate relocation of MCAS Futenma to Henoko, based on our commitment to protect the lives and assets of our residents. With stern anger, we protest the Japan-US agreement to build a replacement base within Okinawa, which ignores the collective voice of the citizens of Nago and Okinawa, and firmly demand that the agreement be rescinded. We hereby resolve as above. 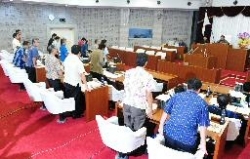 According to Ryukyu Shimpo on October 17, Nago City Assembly's resolution to oppose the U.S. and Japanese governments' plan to build a new USMC base in Henoko, which was adopted on October 15, was reported on the Internet, but was largely ignored in the paper version of the mainstream media in Japan. Only Nikkei and Asahi reported it. It was useful news for those like me who only check Japanese news on the Internet. Paper versions, because of the physical limitation of space, reflect the media's priority on what and what not to report, and how. All newspapers and TV stations reported the Nago City Assembly election on September 12 widely and emphatically. How can we explain this difference? The Japanese media world have been reporting the recent dispute over the Senkaku/Diaoyu Islands extremely one-sidedly from the government's argument that the Islands are "inherent" and "integral" part of the Japanese territory and there is "no territorial dispute" existing. It is apparent that the government and media are purposefully capitalizing on the incident and the nationalistic reactions to it in both Japan and China to orchestrate perceived fear and threat of China within Japan, in order to justify the construction of a new base in Okinawa. 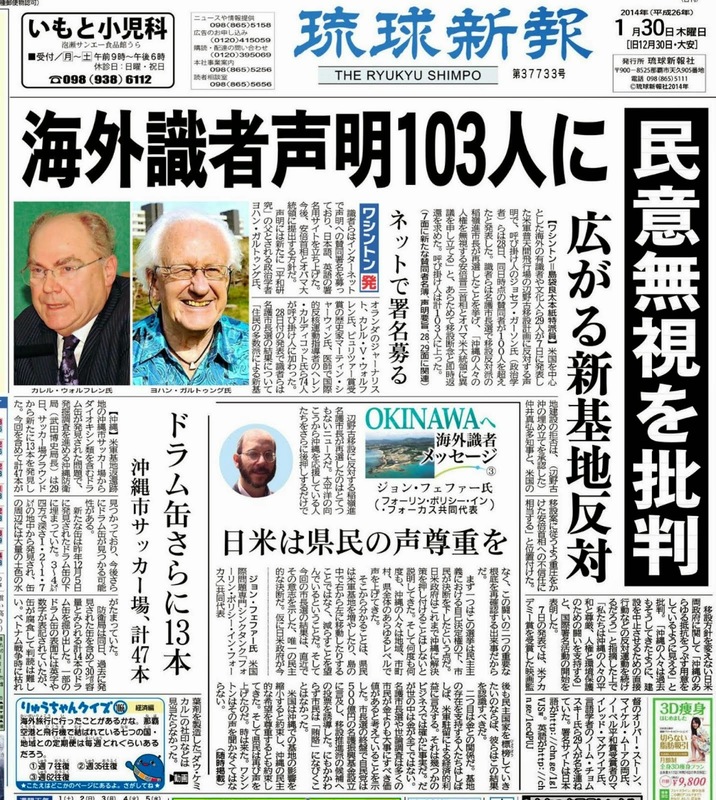 Reports on democratic voices in Okinawa therefore have been suppressed. Nago's resolution this time is significant as it is the first time that the city's assembly opposed against construction of Futenma "replacement" base within Okinawa. 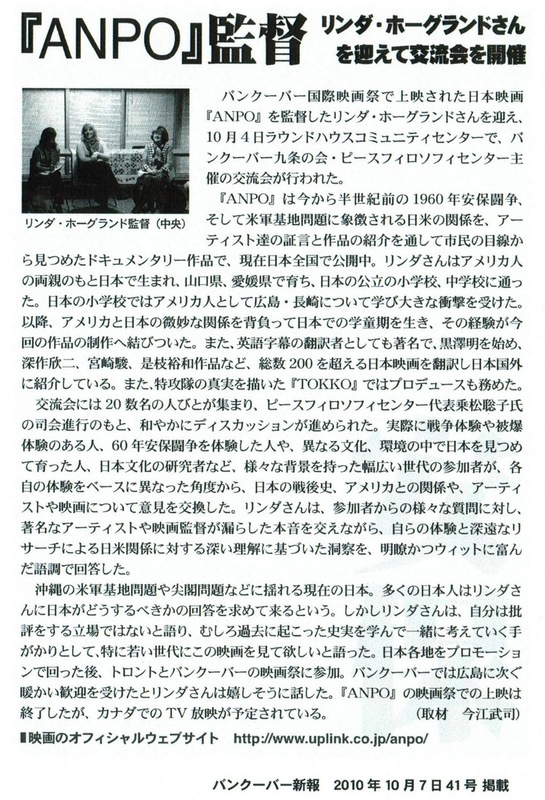 Below is the resolution text in Japanese. ﻿﻿﻿﻿The Nago city assembly passed a resolution opposing the US and Japanese governments' plan to build a new Marine Corps base in Henoko. It is the first time since 1996 that the Nago city assembly opposes the base plan entirely. Anti-base mayor Inamine Susumu made a statement that now that the administration and the city assembly are on a united front, they can stand up against the governmenet together more effectively. The Nago city assembly in Okinawa Prefecture adopted a resolution Friday calling on the Japanese and U.S. governments to rescind their joint statement to relocate the U.S. Marine Corps' Futenma Air Station to the city. The resolution, passed by majority vote, states that the bilateral statement "goes against the wills of people in Nago and Okinawa," and condemns it as a "vicious act trampling on democracy." Noting that U.S. military facilities already occupy about 11 percent of the city's land area, the resolution also said forcing the city to host any more U.S. military bases would be "nothing but a discriminatory policy" against people in the southwestern prefecture. In May, the government led by then Prime Minister Yukio Hatoyama agreed with the United States to transfer the airfield located in a residential area in Ginowan, Okinawa, to a less-populated area in Nago, despite fierce local opposition. Foreign Minister Seiji Maehara said at a press conference later in the day that the government "takes seriously" the Nago assembly resolution but will continue to seek the understanding of people in Okinawa to implement the May accord with the United States. Maehara said the Japan-U.S. agreement stipulates the return of most of the military-occupied land areas south of the U.S. Kadena Air Base in Okinawa if the Futenma facility is transferred in line with the accord, and that he believes base-hosting burdens on residents in the prefecture as a whole will be alleviated. Also on Friday, the assembly approved a petition asking the U.S. government to retract a plan to deploy V-22 Osprey vertical takeoff and landing transport aircraft in Okinawa. The Okinawa prefectural assembly adopted in July a resolution calling for a review of the Japan-U.S. statement. Here is a report in October 7th issue of Vancouver Shinpo, a weekly Japanese-language newspaper in Vancouver, on the post-screening event on October 4th with Linda Hoaglund, director of film ANPO, featured in Vancouver International Film Festival. See HERE for information of this film in English. 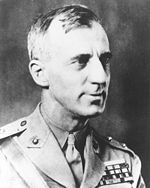 Here is an article about Smedley Butler (1881-1940), written by Douglas Lummis, a political scientist living in Okinawa. Among the many U.S military bases on Okinawa, there is one called CampButler. It was named after one of the most famous and colorful officers in U.S. Marine Corps history, Smedley D. Butler. Smedley Butler joined the Marines in 1898 at the age of 16, in time to participate in the war in Cuba. (That was when the U.S. obtained its base at Guantanamo Bay.) From Cuba he was sent to the Philippines to help suppress the independence movement there. In 1900 Butler was part of the multinational force sent by the Great Powers into China during the Boxer Rebellion. He was wounded twice, but recovered well enough to participate in the sacking of Beijing. The following year Butler was in Haiti, where he helped set up a U.S.-friendly puppet government and forced the adoption of a new constitution that had been written by U.S. government officials. And so on. Butler was awarded two Congressional Medals of Honor for heroism in combat. Probably many of the Marines at Camp Butler and other Marine bases in Japan know these Smedley Butler stories. But I wonder how many know how he spent the last years of his life. After his retirement in 1931, at the rank of major general, Butler became a popular public speaker. And he began to think about what he had been doing. He decided that for most of his career he had been a "racketeer for capitalism." In in 1935 he wrote, "I helped make Mexico . . . safe for American oil interest in 1914. I helped make Haiti and Cuba a decent place for the National City Bank boys . . . I helped purify Nicaragua for the international banking house of Brown Brothers in 1909-1912. I brought light to the Dominican Republic for American sugar interests in 1916. I helped make Honduras 'right' for American fruit companies in 1903. In China, in 1927, I helped to see to it that Standard Oil went its way unmolested." "Looking back on it," he continued, "I feel I might have given Al Capone a few hints. The best he could do was to operate his racket in three city districts. We Marines operated on three continents." Butler did not become a pacifist, but he argued that the U.S.; military should be used for defense only, and should be withdrawn from all foreign countries. When the Marine Corps gave his name to a base in Okinawa, what that ignorance or was it an intentional insult? Maverick Marine: General Smedley Butler and the Contradictions of American Military History by Hans Schmidt (The University Press of Kentucky, 1987); War is a Racket" by Smedley D Butler (Round Table Press,1935). 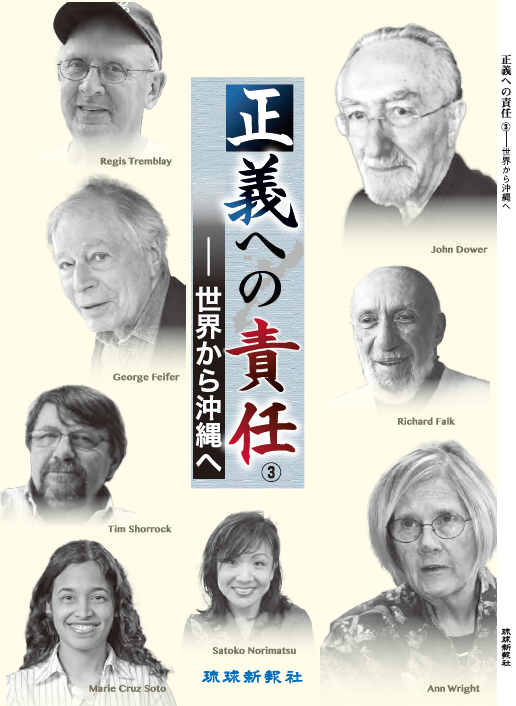 C. Douglas Lummis, a political scientist and a former US Marine stationed on Okinawa, is the author of Radical Democracy and other books in Japanese and English. A Japan Focus associate, he formerly taught at Tsuda College. Here is Butler's speech re-created by an actor. 日本語の案内は下方をご覧ください。For notice in Japanese, scroll down. 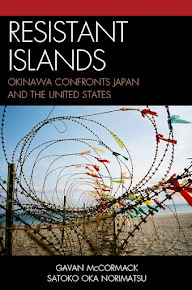 "The Battle of Okinawa 2010: Japan-US Relation at a Crossroad"
Author of "Client State: Japan in the American Embrace"
﻿ Five decades after the adoption of the (revised) US-Japan Security Treaty, Cold War assumptions still underpin the relationship between Japan and the US. A belated Japanese attempt to reform the relationship in 2009-2010 ended in failure and the collapse of the Hatoyama government. Whether the Kan government can do better remains to be seen. The “Okinawa problem” has emerged as a crucial bone of contention between the two governments. 65 years after the Battle of Okinawa, Okinawans' anger towards the two governments have reached a peak. What are the implications of the now 14-year long attempt to resolve the Okinawan demand for closure and return of Futenma Marine base in Ginowan City? - Free admission. Snack and drink donation welcome. 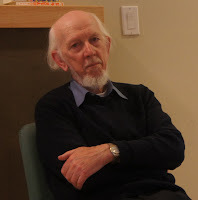 Gavan McCormack is emeritus professor at Australian National University. A graduate of the universities of Melbourne and London , he joined the ANU in 1990 after teaching at the Universities of Leeds (UK), La Trobe (Melbourne), and Adelaide. He has also been Visiting Professor at many universities in Japan, where he has lived and worked on many occasions since first visiting it as a student in 1962. He was elected a Fellow of the Academy of Humanities of Australia in 1992. His work has been translated and published in Japanese, Chinese, Korean, Thai, Arabic, and the main European languages. His most recent book is Client State: Japan in the American Embrace, (Verso, 2007), of which Japanese, Korean, and Chinese editions were published by Gaifusha, Changbi, and Social Science Academic Press of China. He is the author of Target North Korea: Pushing North Korea to the Brink of Nuclear Catastrophe. A media commentator on North-East Asia, he is a coordinator of Japan Focus. 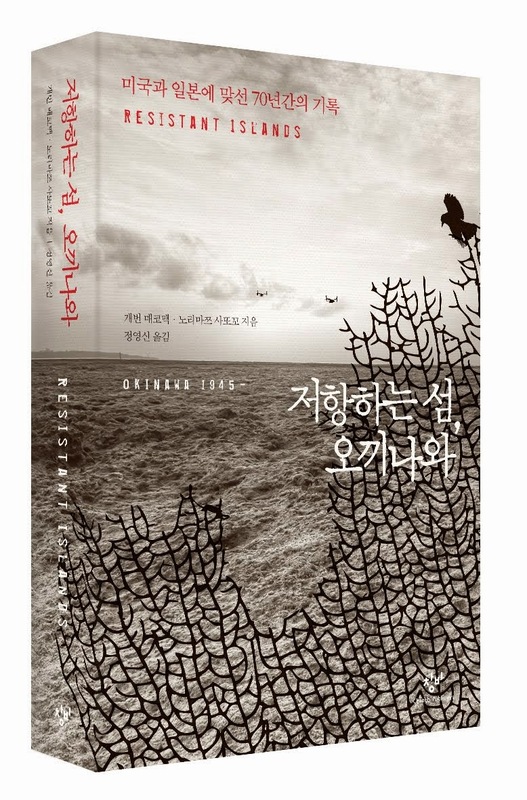 In 2008 and 2009, he contributed an invited monthly essay published in Korean to Kyunghyang Shinmun (Seoul). He is a regular visitor to Okinawa, and was convener in December 2009 of the "Nago Conference" held in Nago City, Okinawa, on "Civil Society and Social Movements in East Asia."